Turtles, lizards, and snakes, oh my! 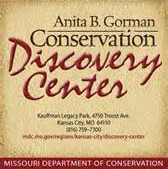 The Missouri Department of Conservation is offering a new program to help kids and families gain angling skills and confidence. Kids (boys and girls) ages 8-17 from all over the state are welcomed to participate.